“Can I specifically raise the need to lift fresh snow off residential streets and pavements before it turns to hard packed ice? 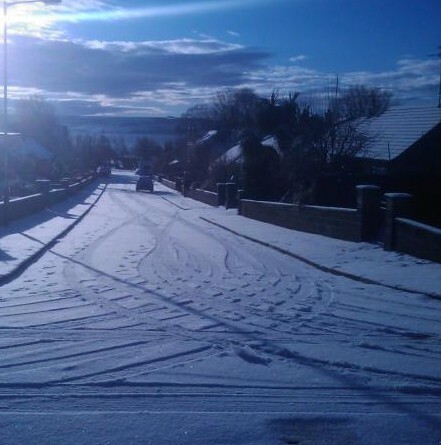 During the December bad weather conditions, many residents pointed out concerns that when fresh snow is left in residential streets and on footpaths it quickly turns to ice and when hard packed it later required equipment such as excavators to get it removed – indeed there are still many residential streets with ice that is weeks old beneath the fresh snow. “I agree with your comment on the clearing of fresh snow as soon as possible, and have e-mailed all the appropriate officers within the Council and Tayside Contracts in order to maximise resources, both mechanical and human, to ensure that we apply the maximum resources as early as possible. Obviously with the schools back , today we are dealing with the areas around schools, in order that we can ensure that the schools are open tomorrow morning. No surgeries today because of the school holidays but very busy with constituents’ issues. Tonight’s “Evening Telegraph” featured the feedback I recently received from Digital Radio UK about the proposed digital radio switchover. See http://tiny.cc/digitalintele. At tonight’s City Council Development Quality Committee, I moved refusal of a retrospective application in Minto Place that had been the subject to residents’ objections. Although recomended for approval, I won the vote 15-12.